Corey Rodda is a native Buffalonian who moved to Sacramento by way of Sarasota, Florida to work for AmeriCorps. Currently, she dabbles in marketing and development. Her work has been published in Comstock’s and Sacramento News & Review. Passionate about social justice, donut shops and interior design, she is proud to call the farm to fork city her home. From a humble plastic folding table, the team behind Fresher Sacramento sells meals cooked in a spare kitchen of the Art Institute of Sacramento. Entrepreneurialism a Safer Bet Than Grad School? 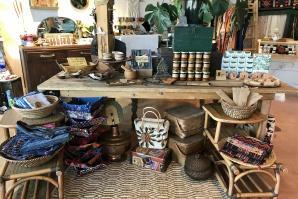 Miel Apothecary, housed in the old Pedroni’s Pharmacy building constructed in the early 1900s on Broadway and 34th Street in Oak Park, is a potpourri of healing salves, locally-sourced perfumes and vintage clothing.